At Sheehy Nissan of White Marsh, community is very important to us. We love supporting the people and organizations in Baltimore, Maryland whenever possible. This year during the Sheehy Auto Stores’ Annual Giving Campaign, we donated $5,000 to Mosaic Community Services to support those struggling with mental illness. Mosaic Community Services is a non-profit organization dedicated to improving the lives of those living with mental illness and addiction. 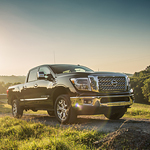 One of the most popular full-size pickup trucks on the road today is the Nissan Titan XD. 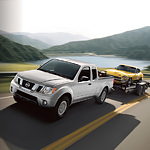 Its many accessories, both interior and exterior, keep truck buyers coming back year after year. That is why we here at Sheehy Nissan of White Marsh are so excited to announce the arrival of the new 2019 model! 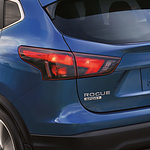 The Nissan Rogue Sport is a vehicle that will help you get the best value for your money by offering excellent fuel economy. Aside from this, it is also an attractive vehicle that is sure to turn heads everywhere you go. The Nissan GT-R remains one of the most popular sports cars on the market due to the vehicle's overall design and the muscle under the hood. Experience the power that the GT-R possesses for yourself by visiting our White Marsh location and going for a test drive. 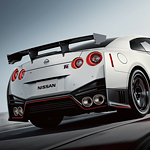 The GT-R comes with a 3.8-liter turbocharged engine that easily provides up to 565 horsepower. The electronically controlled manifold and turbocharged system provide more effective engine cooling and better gas flow throughout the engine. 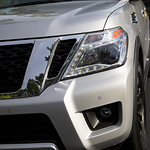 Nissan vehicles are popular the world over for a few key reasons. They bring the reliability that is common in Japanese cars as well as the high attention to build quality and detail that Japanese automakers excel in. In addition, Nissan vehicles are also popular due to their high-performance stats that cannot be matched by any automaker in their niche. 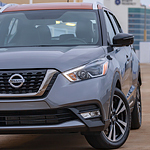 In White Marsh, people like to get around in style and comfort, and the wide selection of Nissan Kicks at Sheehy Nissan of White Marsh can help you do that. Passenger safety is a key consideration for many individuals who are in the market for new or replacement vehicles. Modern pickup trucks offer drivers the convenience of rafts of modern safety tools as well as built-in off-road chops. Plus, here at Sheehy Nissan of White Marsh, we offer our customers the convenience of vehicle purchase advice. We've Moved to 5361 Nottingridge Rd! Moving is never anyone's definition of fun, but we've tried to make this process as easy as possible - especially for our loyal customers. As of Dec 10 we will be located at 5361 Nottingridge Rd., White Marsh MD 21162. Rest assured, we'll still offer a wide variety of new and used Nissan inventory, including our most popular models: Altima, Rogue, Sentra, Versa and Pathfinder. The recently introduced Nissan 370Z Roadster quickly became popular with vehicle owners who appreciate a quality machine that visually stuns while ensuring performance. The sports car features Old World classic styling from its aerodynamic design and smooth lines. Go for a test drive in Nottingham.